Perry Township Schools is proud to announce our most recent school letter grades, released by the Indiana Department of Education. Our students, teachers, support staff and administrators have worked hard to ensure that our students are growing in their achievement. Because of their intentional work to meet every students’ needs we have earned, (9) A’s, (5) B’s and (3) C’s. Two of our elementary schools increased from a C to an A within one year! 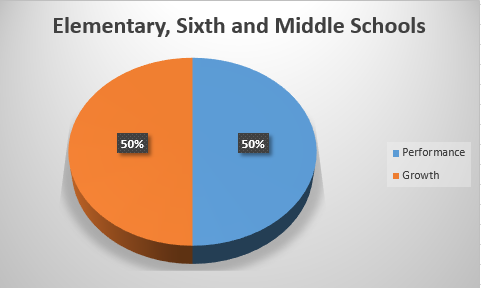 Our district has grown to 16,299 students. Our poverty level is above 70%. We serve more than 4,800 English Learner students who speak 73 languages. These letter grades are a combination of Performance and Growth on ISTEP for the elementary, sixth grade and middle schools. The Performance is ½ of the letter grade and the Growth rate is ½ of the letter grade. 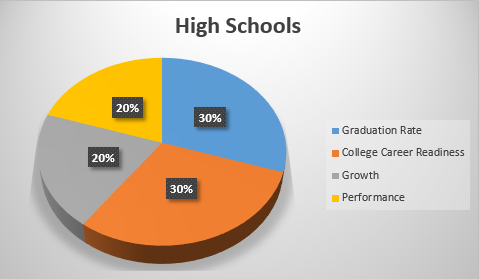 The high schools’ letter grades are based on Graduation Rate 30%, Growth 20%, College & Career Ready 30% and Performance 20%. Our district has earned maximum levels of growth points for English Language Arts and Math. These letter grades and high growth are the result of our teachers’ and staff’s focus on students. In professional development groups, teachers learn strategies to support students’ needs. Teachers and administrators use data, such as Evaluate, to differentiate instruction for students and refine instructional strategies. Every educator in Perry Township, Pre-K through 12, is responsible for the success of our district.